Breaker Technology (BTI) received OHSAS 18001-2007 certification, an internationally recognized standard for occupational health and safety, for the first time in company history this month. With a current safety record of 975 consecutive days and counting, without a recordable injury, a company record, it became apparent that BTI pursues a certification process to ensure its safety practices and processes are both upheld and recognized. So what accounts for such a high number of consecutive days without a recordable injury? BTI has developed a real culture of safety awareness with its employees at every level. “We hold safety tool box talks at the start of every shift,” says Brad Forrest, BTI’s Human Resources Manager. We also offer continuous safety training, hold weekly safety inspections with our 6S program and have an active and committed Joint Health and Safety Committee. 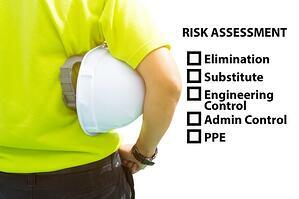 Pursuing the OHSAS 18001-2007 certification was a natural step in the process of developing its safety culture. The certification requires Breaker Technology to establish and demonstrate sound occupational health and safety policies and procedures that adhere to rules and regulations, and provide a mechanism to improve safety performance. Not only is safety at the top of mind at BTI, quality management and the environment are also high on the list of priorities. BTI achieved recertification for ISO 9001-2008, a quality management system and ISO 14001-2004, an environmental management system. Originally obtained in 1998, recertifying the ISO 9001 – 2008 designation is a process that ensures they are upholding a standard to meet the needs of customers and stakeholders. The certification includes developing standards around customer focus, leadership, engagement of people, using a process approach, continuous improvement, evidence-based decision making and relationship management. BTI also achieved ISO 14001-2004 certification again, which shows its continued commitment to the environment. This standard ensures that BTI develops policies and procedures around minimizing the impact on the environment, that they are in compliance with laws and regulations, and that they have systems in place to continually improve their environmental management system. Some environmental improvements made include purchasing hazardous waste storage containers specifically designed to contain accidental spills, energy efficient lighting, HRV units that recirculate plant air and an aggressive recycling program. “In achieving these three certifications, BTI is demonstrating its commitment to providing the best possible equipment and service to its customers, while maintaining high standards in protecting the environment and its people,” says Forrest.